Ruth Harriet Wolf, 92, of Downingtown PA, passed away on Friday, April 5, 2019 at Paoli Hospital. Ruth was born to the late Arthur and Louise Metzger on April 29, 1926. Ruth graduated from Bloomfield College in New Jersey as a Registered Nurse and completed her Nurse's Training at the Veteran's Hospital in Basking Ridge, NJ. She married John Wolf in 1948 and together they raised their family in New Providence, NJ. In addition to being a loving wife and mother, Ruth served as a Deacon and Nursery School teacher at New Providence Presbyterian Church and also worked as an RN at Glenside Nursing Home for many years. Together with her family, she was an active member of The Turkey Town Travelers camping group for over 10 years. Ruth also enjoyed sewing, quilting, bird watching, listening to The NY Philharmonic Orchestra, and spending time with her grandchildren. Ruth moved to Downingtown, PA in 2005 to be closer to family. 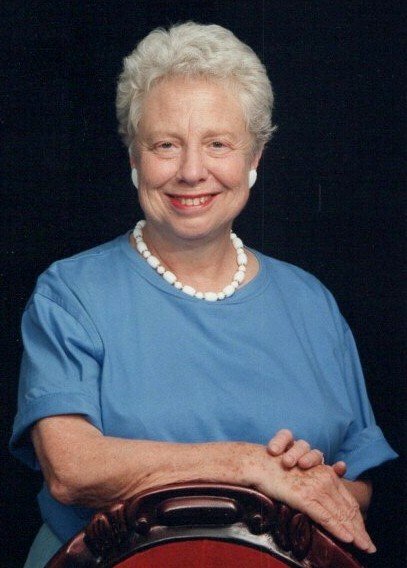 She became a devoted parishioner of Central Presbyterian Church and served in the Sewing Group and Steven Ministry. Ruth was a resident of the Tel Hai Community for the last 2 years. In addition to her parents, Ruth is preceded in death by her husband, John Wolf, who passed away in 1990, as well as her brothers Leonard Metzger and Alan Metzger. Ruth is survived by her three children; Susan O’Neil, James Wolf, and Sally Tarlo, 5 grandchildren; Rebecca Tarlo, Joshua Tarlo, Sarah Sue O’Neil, Robyn O’Neil and Bobbi Jo O’Neil. A memorial service will be held on Saturday, April 13, 2019, at 11am, at Central Presbyterian Church, 100 W Uwchlan Ave, Downingtown, PA 19335, where family and friends will be received from 10:30am-11am. Interment is private. In lieu of flowers, a donation in Ruth’s name can be made to the Salvation Army.